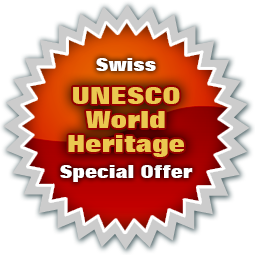 SwissPasses.com: Save on discounted Swiss Rail/Train Tickets, Ski Pass & Rental Discounts, Classic Rail Journeys in Switzerland. Swiss Ski Passes at up to 10% off. Ski & Snowboard Rental at 25% off. Save time & money. Swiss Rail/Train Tickets, Passes & Excursions. Swiss Ski Passes at up to 30% off. Ski & Snowboard Rental at 25% off. Swiss Passes is the real Switzerland specialist. Save time & money on your Swiss Travel plans! Swiss Classic Rail Journeys — See some of Switzerland's most impressive sights at greatly reduced prices! Steam & Cogs — a train lover's heaven. From the awe inspiring Matterhorn viewed from the top of the Gornergrat cog railway to the spectacular views of the Eiger and other Berner Oberland peaks. Swiss Excursions — See some of Switzerland's most impressive sights at greatly reduced prices! From the awe inspiring Matterhorn viewed from the top of the Gornergrat cog railway to the spectacular views of the Eiger and other Berner Oberland peaks, from the revolving restaurant located on the Schilthorn (made famous in the 1969 James Bond film "On Her Majesty's Secret Service"). Swiss Ski-lift Passes — Book online and save time and hassle. Let us help you make your ski holiday more enjoyable, by reducing the things you need to organize on your first day. Book your Swiss Ski-lift Passes online now! Swiss Ski & Board Rental — Book your holiday's ski/board rentals online and save time and hassle & money! Let us help you make your ski holiday more enjoyable, by reducing the things you need to organize on your first day, and make sure you get the ski gear you really want. Book your Swiss Ski/Board Rental online now! Swiss Railway Passes offer fantastic savings when travelling by Swiss Rail! (only available outside of Switzerland.) Children from 6 to 15 years inclusive travel free with the included Family Card, if accompanied by at least one parent. See Switzerland on the world's best transport system! The Flexible way to see Switzerland! The OBB RailJet with Business Class. The best way to get to St. Anton's great skiing! Site concept, design &amp; coding by: bSoftware of Switzerland. © 2006-2019 — OTP Holidays Ltd. All rights reserved.